Based in Telford, we are willing to travel throughout the whole of Shropshire and the surrounding areas to provide you with great bathrooms. Our client base consists of domestic homeowners, commercial property owners, landlords and housing associations. Looking to get in touch with us? Visit our contact page or call us on 01952 256683 today! Do you need a bathroom fitted in Shropshire, Telford, Shrewsbury and surrounding areas? If so, don't hesitate to get in touch with the professional team at Shropshire Bathrooms, Kitchens and Tiles. Call us today on 01952 256 683, you won't be disappointed with the services we provide. Based in Telford, we are willing to travel throughout the whole of Shropshire and the surrounding areas to provide you with great bathrooms at a price that won't break your bank balance. For complete bathroom installation and renovations including plumbing, tiling and plastering you can't go wrong with us! Book our services today. We offer a wide selection of suites from many different manufacturers and we specialise in wet room installations. Did you know that we can provide you with Easy Access showers, walk-in baths bathing equipment and wet rooms to suit all abilities? We can also provide high rise toilets and grab rails to suit all requirements. Personalised quotes in the comfort of your own home. 3D computer aided design and project managed installations, you can feel confident that we won't let you down. For your peace of mind, we are registered in the Federation of Small Businesses. Here at Shropshire Bathrooms, Kitchens and Tiles, we have 30 years of experience, during this time our reputation has grown from strength to strength thanks to our dedication to customer satisfaction and our quality workmanship. Our client base consists of domestic homeowners, commercial property owners, landlords and housing associations. Our client list is a considerable size because we are the proven professional with over 30 years of experience in the industry. Here at Shropshire Bathrooms, Kitchens and Tiles, we can provide you with a supply only service or a complete bathroom conversion. We can provide you with tiles, cubicles, showers, lighting, and under floor heating. 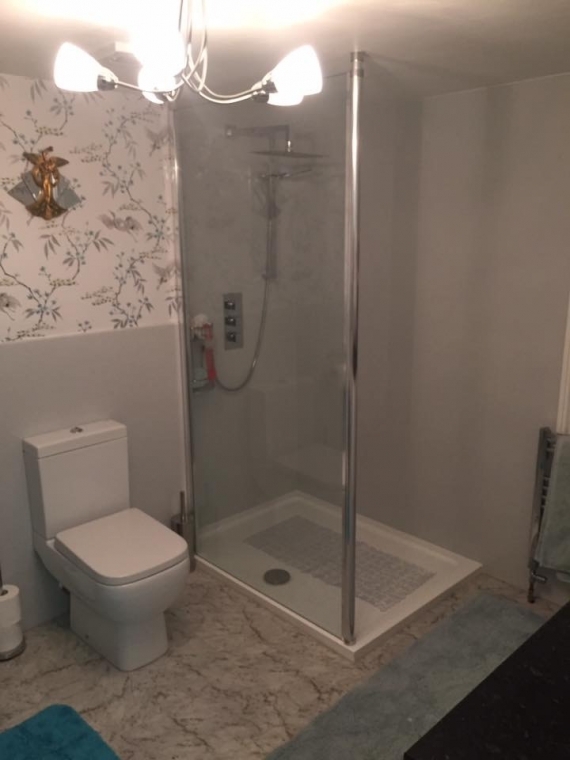 Visit us today for all your bathroom needs. We have a firm commitment to customer satisfaction, which is why we use 3D computer aided design and project managed installations. For your own peace of mind we employ all our own fitters, trained to our high in house standards, so you can be sure that we'll get the job done right first time. For bathroom plumbing services in Telford get in touch with us today for more information. 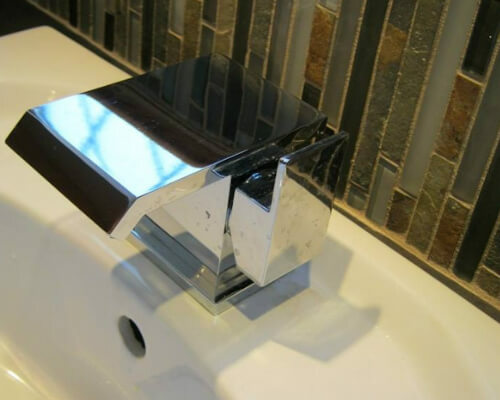 You can call us on 01952 256683 and one of our team will be more than happy to answer any query you have regarding your bathroom or our services. 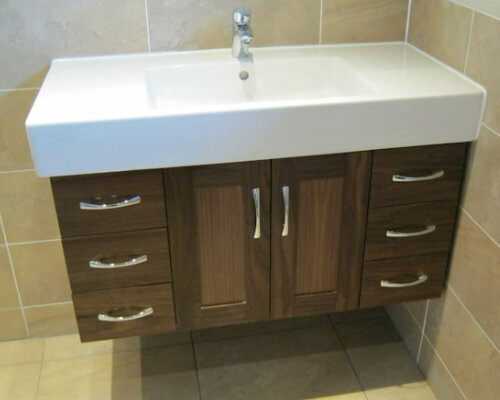 Shropshire Bathrooms, Kitchens and Tiles: Your first choice for bathroom suppliers in Telford! We also have a showroom that you're more than welcome to visit.